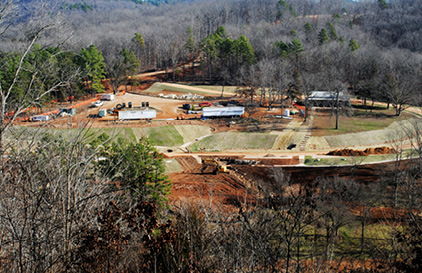 "The construction of [Echo Bluff State Park] has given us somewhat of a boom in business. They're essentially building a small city... it's incredible what they're planning to accomplish." 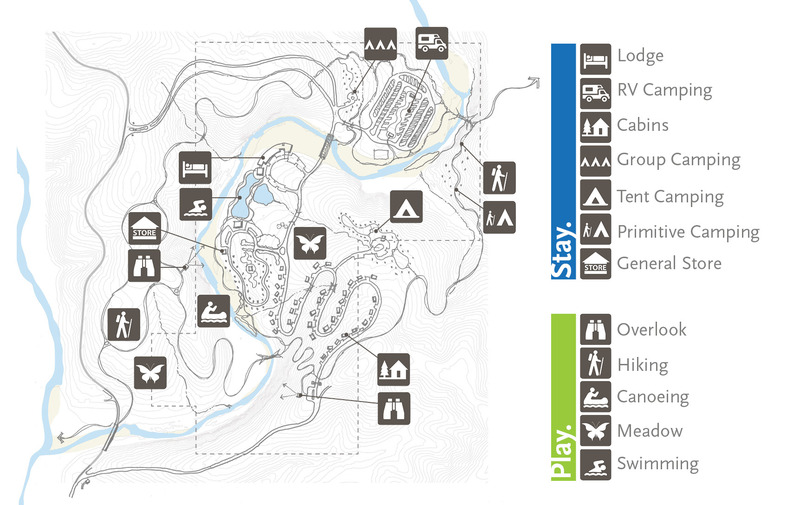 Founded in 1929 as "Camp Zoe," the 440+ acre property was originally an all girl's summer camp. 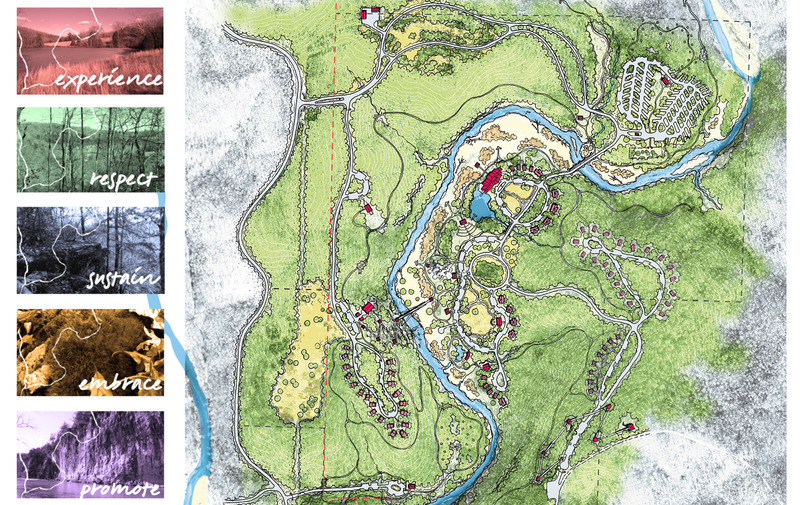 Phase 1 creates a critical mass of site development, providing enough amenities to create a major destination. 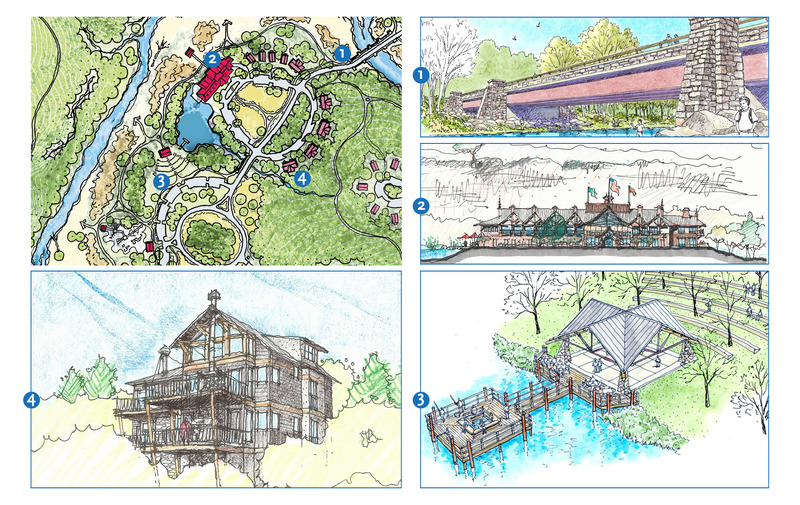 Following initial investigation and analysis, four distinct vision plans were created for the park. 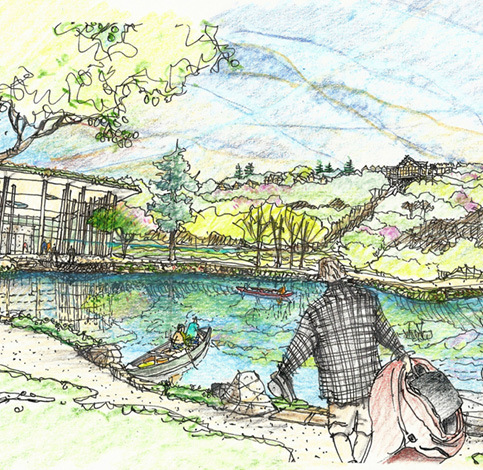 The "Valley" concept focuses development on the east side of Sinking Creek, nestling visitors into the valley. 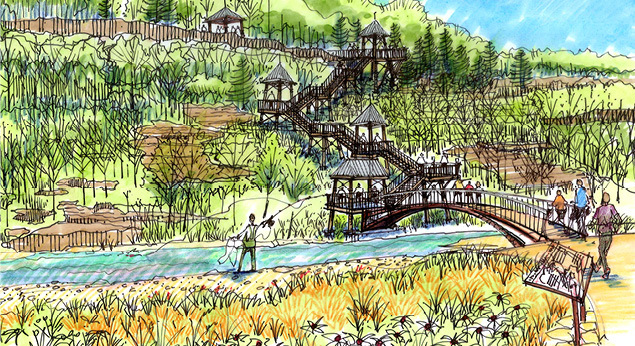 The development of the park celebrates the natural beauty of the Missouri Ozarks, and will draw local, regional and national visitors. 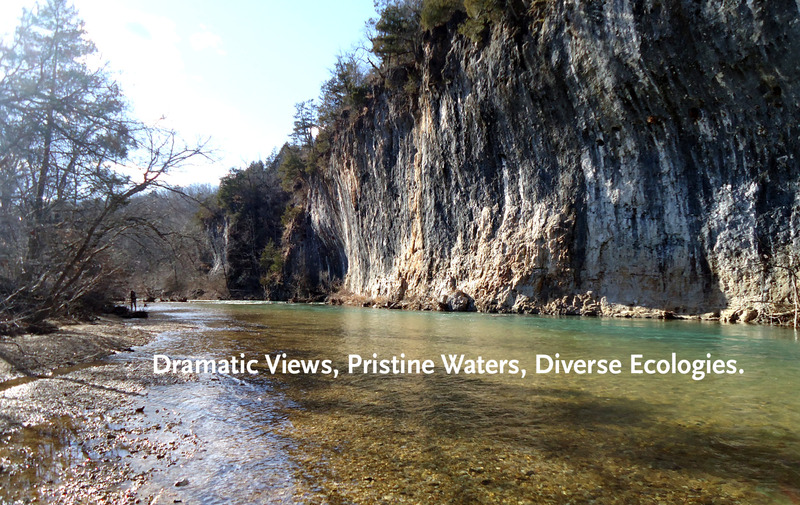 Dramatic limestone bluffs and crystal-clear waters are the backdrop for a new state park in a remote area of the Missouri Ozarks. 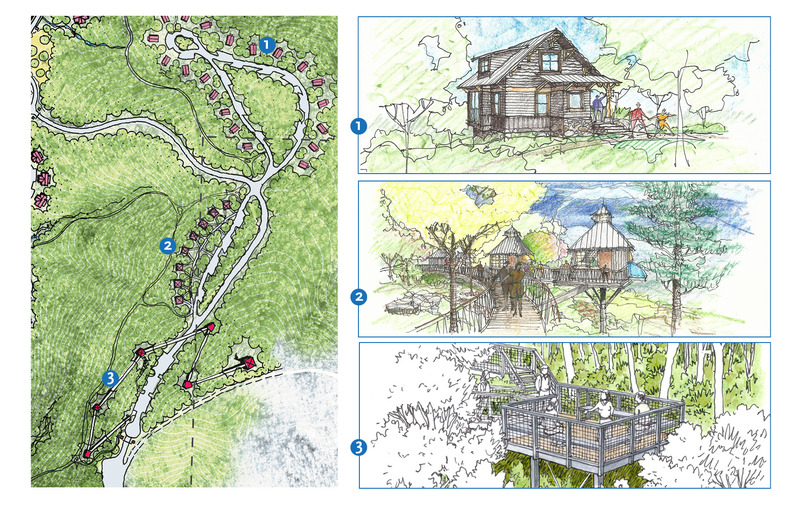 Working in conjunction with the State of Missouri Office of Administration, Division of Facilities Management, Design and Construction (OA/FMDC), and the State of Missouri Department of Natural Resources, Division of State Parks (MSP), the development of this new state park will be the result of a 4-month planning process. 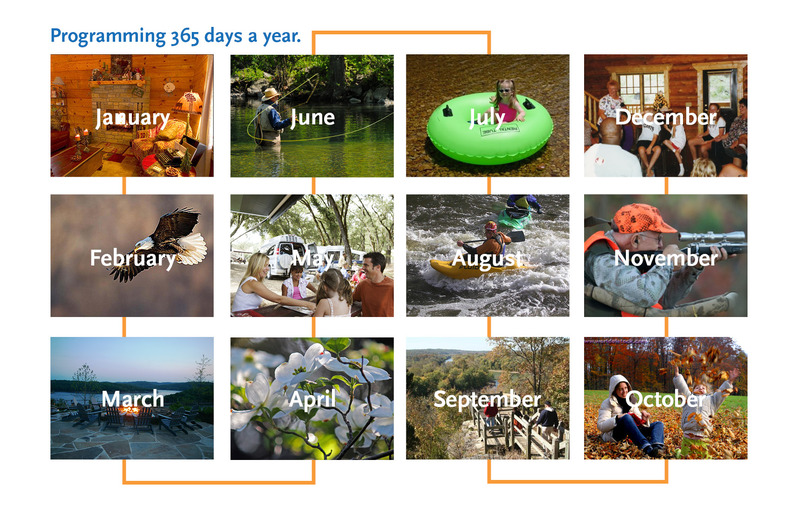 This includes weekly design team meetings and regular Technical Advisory Group meetings, and two final VIP Presentations to Governor Jay Nixon. 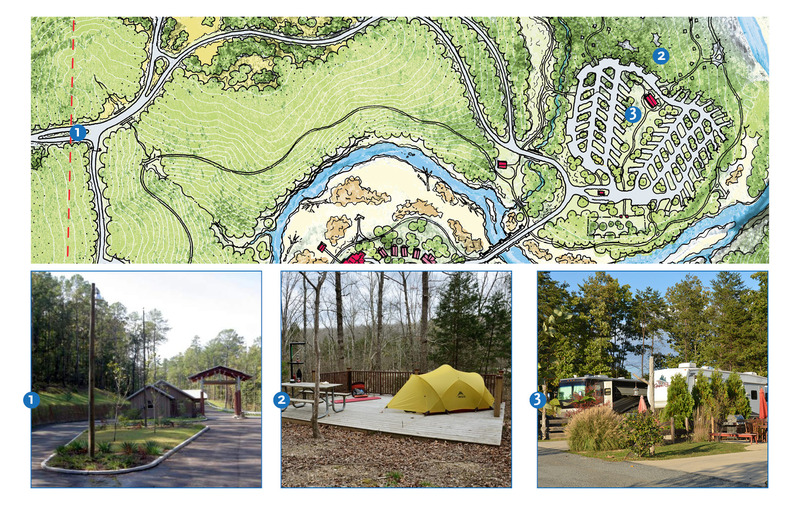 The plan for the park was developed into a series of implementable construction packages for construction, slated to be completed in May of 2016. 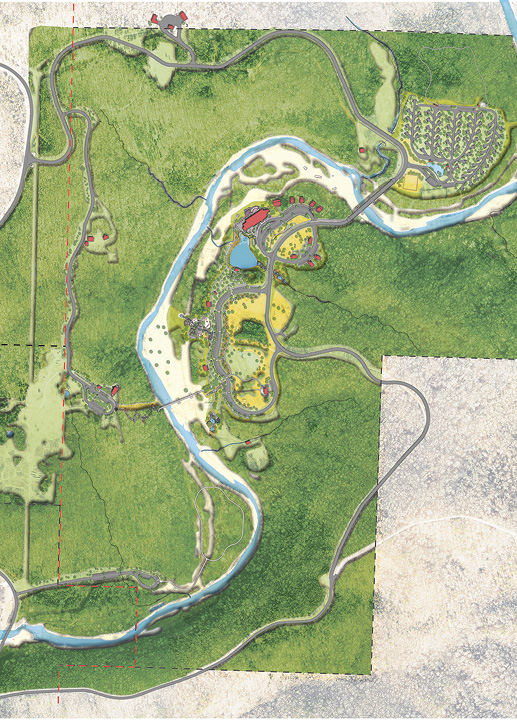 Roadways, site amenities, landscape and ecological restoration, and contemporary rustic buildings were fully designed to be constructed within that timeline. 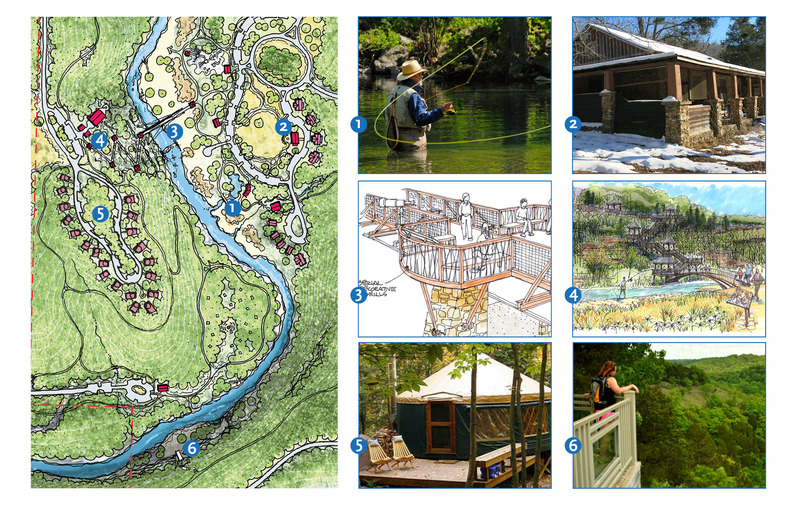 "On the whole, the condition of the site and its natural features are a rare gem. 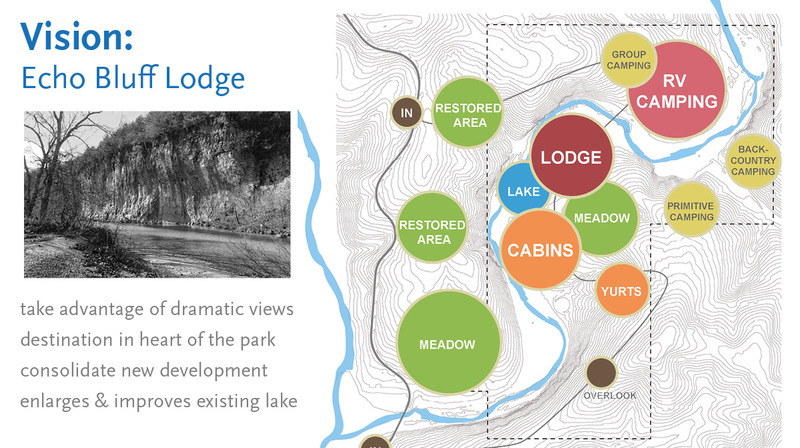 The site has remained in such good condition due, in part, to its remote location and history. 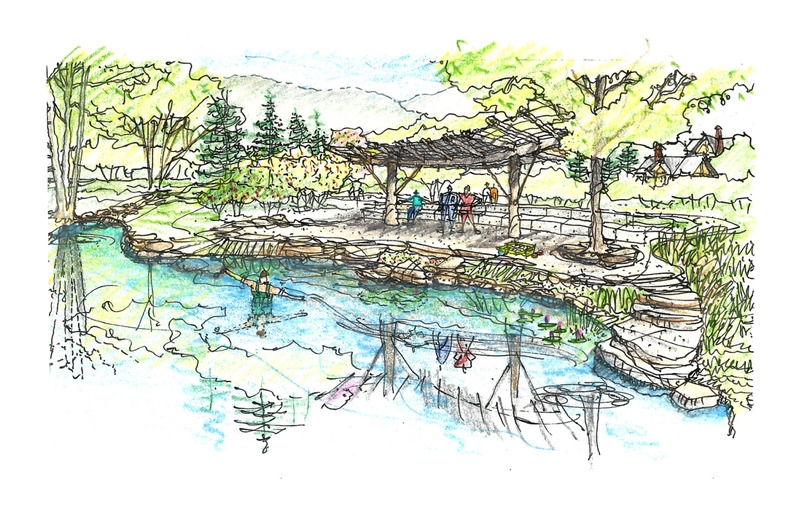 This park will showcase the natural features of the Ozarks, and have a built environment that blends seamlessly into the landscape."